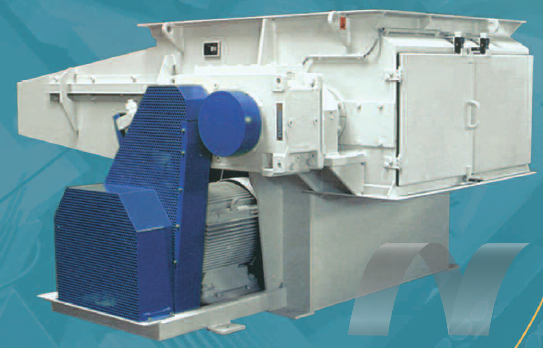 Cumberland’s Single Shaft Shredders are designed for processing plastic waste for reclamation and recycling, large extruder purgings, large reject parts, trim scraps, baled or loose film, synthetic fiber, wood processing scrap, medical waste, cardboard, paper and carpet. Hinged cover provides protection to ram drive cylinders and allows easy access for cleaning. Heavy shelf over ram cavity to protect against impact with heavy parts. Cutting rotor is engineered for durability and carries a Limited Lifetime Warranty. Cutting inserts are precision fit for easy maintenance. Anvil has a replaceable counterknife plate with close tolerance profile. Hinged clean-out access doors with safety switches to access screen and cutting rotor for maintenance. High quality, double row, self-aligning spherical outboard mounted roller bearings to prevent contamination.